A specialised and cost-effective heat shrink tube with a low percentage of shrink for use in insulating thermal protectors. 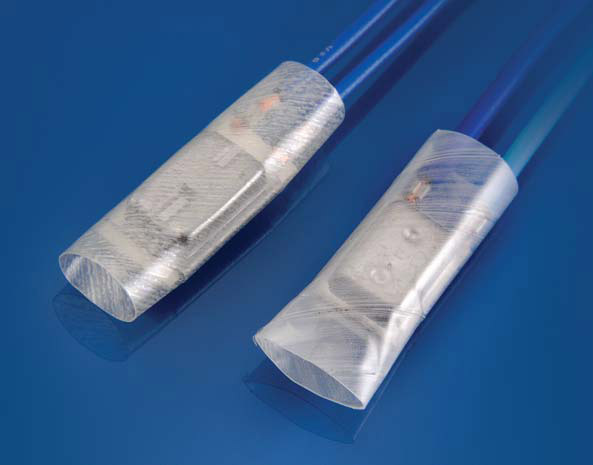 Plamec Heat-Shrink Tubing is the preferred material for the insulation of Thermal Protectors and Hermetic Systems. The material remains flexible after shrinking and provides an improved appearance as depicted in the photograph. Plamec Tubing maintains high dielectric strength and cut through resistance, up to temperatures of 160 ̊C.